Finding artistic inspiration in Charleston isn’t difficult. 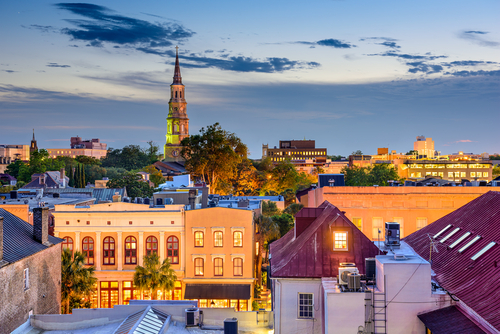 Surrounded by lush gardens, historic architecture and the natural beauty of the Lowcountry, the Holy City has long been a magnet for talented artists and creative minds. It was only a matter of time before Charleston received recognition as a global art destination. With a diverse array of galleries, museums, year-round festivals and multicultural events, the city has a variety of art experiences to be enjoyed. Ready to discover Charleston’s artistic side? As you stroll through the city’s cobblestone streets, be sure to check out these places to experience the city’s vibrant art scene. Hoping to take a piece of Southern charm home with you? Step inside one of Charleston’s many art galleries, and you’ll find a diverse collection of stunning pieces by both regionally and internationally acclaimed artists. 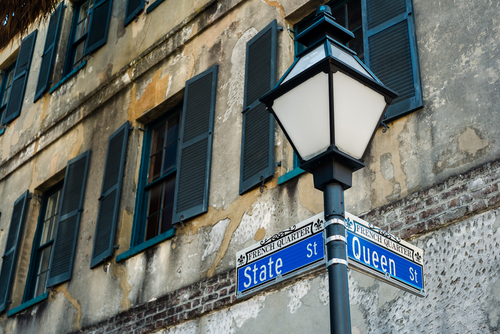 Conveniently, most of these art galleries are located in the same general area in Downtown Charleston: one on Broad Street (known as “Gallery Row”) and the other just a block or two away in the charming French Quarter neighborhood. Appropriately called “Gallery Row,” this series of fine art galleries on Broad Street is a top destination for art-lovers. 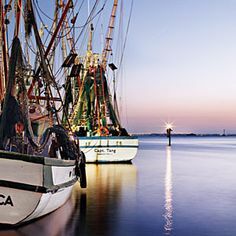 You are sure to find a unique treasure to take home from this cultural mecca that features the work of award-winning artists from the Lowcountry and beyond. The only difficult part will be deciding which work to choose! Sculptures, oil and acrylic paintings, watercolors, stone, pottery, glass, photography — there is something along Broad Street for everyone. Don’t miss the Mary Martin Gallery for a varied selection of paintings and sculptures. Named one of the 25 Best Art Galleries in America and Best Gallery in South Carolina, this gem is full of high-quality contemporary pieces and creative works. 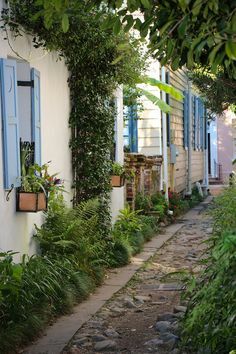 If beauty is what you’re hoping to find in Charleston, take a pleasant stroll through the French Quarter. 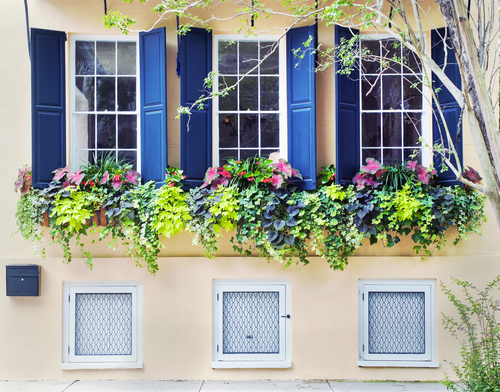 You’ll pass by some of Charleston’s most beautiful gardens and historic homes on your way to the string of fine art galleries in this neighborhood. The French Quarter boasts a large selection of fine art and jewelry in various styles and mediums. From traditional to contemporary pieces, the Holy City’s artistic talent is on full display. For contemporary art, stop by Robert Lange Studios on Queen Street. Voted Best Gallery by the Charleston City Paper, the gallery offers a unique art experience for those who tire of traditional Charleston landscapes and scenery. If traditional art is better suited to your tastes, the Lowcountry Artists Gallery will have plenty of artwork for you to enjoy. The oldest artist-owned and -operated gallery in Charleston is home to a stunning collection of artwork by local, regional and national artists. One of the best ways to experience Charleston’s art galleries is by participating in the Charleston Art Walk, which occurs on the first Friday of March, May, October and December. On these days, galleries in downtown Charleston open their doors to visitors from 5 p.m. to 8 p.m. 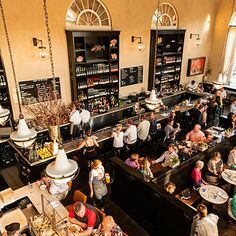 This gives visitors an opportunity to chat with the artists and sip on complimentary wine and hors d’oeuvres as they take in Charleston’s thriving art scene. 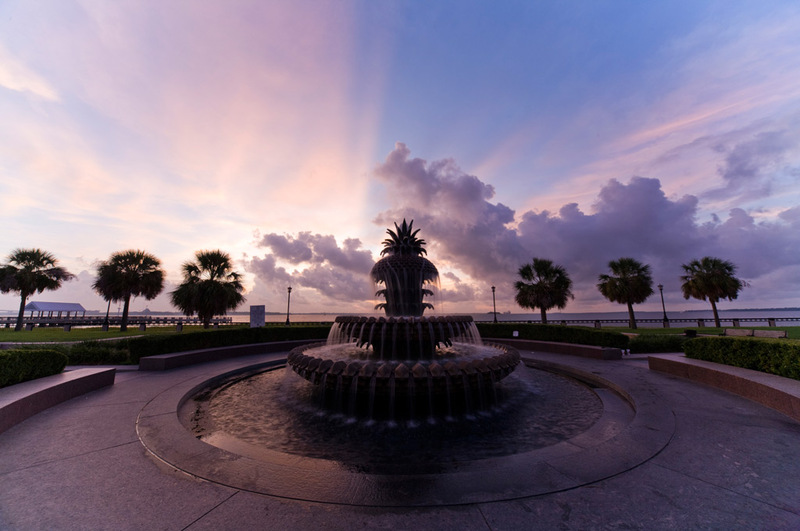 With nearly 350 years of rich history, Charleston has no shortage of museums and exhibits. Step inside these museums and explore displays of art from centuries past, as well as contemporary offerings. Opened in 1905, the Gibbes Museum is one of the oldest museum buildings in the South and the only visual arts museum in Charleston. Featuring a combination of innovative exhibits and permanent collections, Gibbes Museum is a must-visit for art lovers. Peruse the museum’s paintings, sculptures, miniature portraits and decorative arts, each providing a glimpse of the era in which it was produced. Along with art from the past, you can also explore the artwork of talented regional artists who offer a taste of Lowcountry heritage. If you’re less interested in history and more fascinated by contemporary art, Halsey Institute of Contemporary Art should be on your list of must-see places in Charleston. Part of the College of Charleston, the Halsey regularly features emerging and mid-career artists and is known for displaying daring exhibits. The artistic risks that the Halsey takes with its gallery make it stand apart from other galleries in Charleston. Exhibits change every few months, and the art museum is free to visit, which means that you can stop by regularly for a new experience each time. Those wishing to explore the history and culture of the Lowcountry through artwork should visit the Charleston Museum. Founded in 1773, the museum is known as America’s First Museum and showcases an extensive collection of historical crafts, jewelry, decorative art and more. Check out Lowcountry History Hall, a permanent exhibit in the museum that details the early life of those who first inhabited the Lowcountry, including Native Americans as well as early colonists and African-American slaves. The Historic Textiles exhibit is another permanent fixture at the museum that will delight aspiring designers. The Charleston Museum’s rich historic textiles and clothing collection is one of the best in the southeastern United States. Packed with artistic talent, Charleston is a mecca for art festivals. From smaller events featuring local artists to major performing arts festivals, there is always a celebration of art and culture happening in the city. One of the nation’s largest performing arts festivals, the annual Spoleto Festival USA is a must-attend event in Charleston. Theater, dance, opera, performance art, music—no matter what you’re into, it can all be found at Spoleto. For 17 days and nights, Charleston’s historic venues are filled with performances by world-renowned artists as well as emerging talent. Now in its 42nd season, Spoleto Festival USA is an unforgettable experience that art enthusiasts can’t miss. Curious about this year’s festival? Fans of Spoleto will be pleased to know that the 2018 lineup was announced in January. Each year, Downtown Mount Pleasant is filled with stunning performances by some of the region’s most talented artists and performers. Dance, music and visual art studios will be on display for both adults and children to enjoy. In fact, this event is packed with kid-friendly activities and is fun for the entire family. Did we mention that all activities and performances are free? One of the longest running festivals in the city, the MOJA Art Festival is an 11-day celebration of African-American and Caribbean arts and culture. Fun for the entire family, this lively festival brings a burst of color to Charleston’s streets each year. “Moja” means “one” in Swahili, and the festival embodies the celebration of unity and harmony within the community. Events include dance, theater, music, poetry, storytelling and special programs for the kids. One piece of advice — come hungry! You’ll want seconds of the savory ethnic food from Charleston’s best food and drink vendors. Venture to the City of North Charleston in the spring for its annual art festival and experience the diverse array of performances by over 100 national, regional and local artists. Hosted by the City of North Charleston Cultural Arts Department, the comprehensive art festival encompasses dance, music, theatre, visual arts, media arts and literature. There will also be a variety of workshops, exhibitions and activities taking place in nearby libraries, businesses and community centers. Last year, there were an eclectic mix of events including a fiber art lecture and exhibition tour, a children’s puppet show, a block party with live music and vendors and much more! From concerts to Broadway shows and music halls, Charleston’s performance arts scene is magnetic. Many of these enchanting performances take place in historic venues, giving them added charm that can only be found in Charleston. 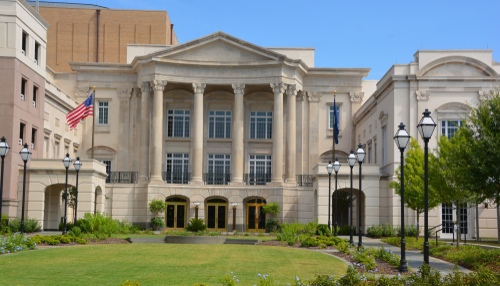 The historic Gaillard Center began in the 1960s as an auditorium and exhibit hall, serving as Charleston’s primary venue for top performances and events. After undergoing extensive renovations, the new Gaillard Center reopened in 2015 as a world-class performance hall complete with ornate ceilings and grand stairwells. From big-name performances to small-scale galas and educational outreach programs, events at this multifaceted venue space are something that locals can’t help but brag about. Check out the upcoming shows and grab your tickets for a memorable performance! Stop by Redux, a thriving contemporary arts center that is popular with locals. Located on King Street in historic downtown Charleston, the nonprofit organization rents out private studios to working artists and features rotating mural exhibitions. Redux is geared towards supporting local artists in Charleston and building meaningful relationships within the community. However, visitors can also enjoy the visual art exhibits at the art center, as well as the events, concerts and lecture series that they regularly host. Redux also offers educational classes year-round for all ages. Whether you want to learn screen printing basics or release tension with watercolor tutorials and a glass of wine, Redux has a class for everyone. Like your music with a bit of history? 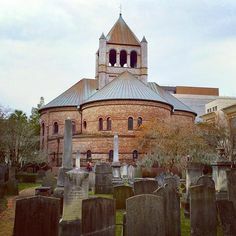 The Charleston Music Hall is a 19th-century Gothic Revival-style building that has survived wars, earthquakes and hurricanes. Beautifully preserved, the Charleston Music Hall is now an intimate venue for the arts and entertainment. With superb acoustics and not a bad seat in the house, shows at the music hall are regularly sold out, so buy your tickets in advance! The Vendue isn’t your typical hotel. Filled with rotating art exhibits that feature local and international artists, the warehouse-turned-hotel has earned its title as Charleston’s premiere art hotel. No two rooms at The Vendue are alike, each adorned with its own unique artwork and amenities. The art hotel is also home to Charleston’s only Artist in Residence Program, and both guests and visitors are invited to explore the studio and meet the resident artist. Of course, The Vendue’s impressive dedication to the arts isn’t the only lure for visitors. The hotel is conveniently located in downtown Charleston, and their rooftop bar provides exceptional views of the city and the waterfront. Charleston’s many art galleries and performing arts venues are a given for those wanting to experience the city’s vibrant art scene. However, you can also find beauty and art in some rather unexpected places as well. From Gullah sweetgrass baskets to jewelry and crafts, you’ll find a large selection of unique wares at the Charleston City Market. Established in the 1790s, the history of the market is reason enough to visit. A popular tourist destination, the City Market features locally made crafts, so you certainly won’t have trouble finding a unique gift to bring home. Don’t miss the Night Market, which runs from April through December, to discover the best upcoming artists in the Lowcountry. Although many of Charleston’s historic homes and beautiful gardens are open to the public year-round, only on special occasions do people get the opportunity to see inside historic homes that are privately owned. Take one of Charleston’s home and garden tours for a rare glimpse into some of the city’s most magnificent historic properties. Showcasing elegant architecture and lush gardens, these tours offer visitors the chance to see beauty from the past collide with present-day charm. Home and garden tours generally take place a few times in the spring and fall. 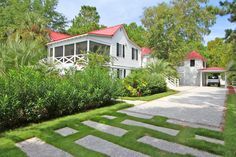 The Annual Festival of Houses & Gardens occurs in the spring, while the House and Garden Tour organized by the Preservation Society of Charleston offers self-guided tours in the fall. Well-known for its culinary offerings and rich history, Charleston also has a thriving art scene that shouldn’t be missed. Home to writers, dancers, musicians and artists, you won’t have trouble finding an art experience to pique your interest. Need assistance planning your next Charleston vacation? Contact us and we’ll help you find the perfect beach vacation rental to make your trip unforgettable! 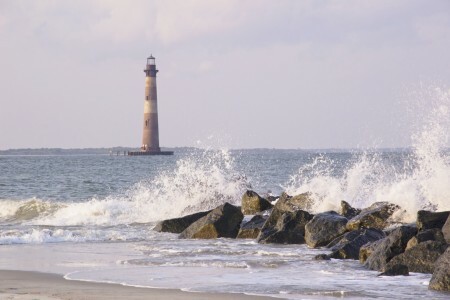 Folly Beach is where Charleston locals and tourists alike flock to for a slice of paradise with a side of fun. More so than any other beach in the area, Folly, though small as it may be, is packed with stuff to do for the whole family. One of our favorite things to do while on Folly is to hang a left at the end of Center Street, following Ashley Avenue all the way to the end, park, and walk the 15 or so-minute stroll to the Morris Island Light House. Once there, behold the most secluded part of Folly Beach, a shore covered with beautiful driftwood, and the Morris Island Light House. 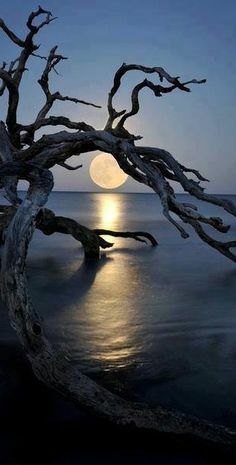 You’ll love the desolate feeling out there, the staggering beauty all around. Bring a camera, because photo opps abound. To actually get in the water and explore, we recommend a kayak adventure through the meandering creeks we love so dearly in the Lowcountry. 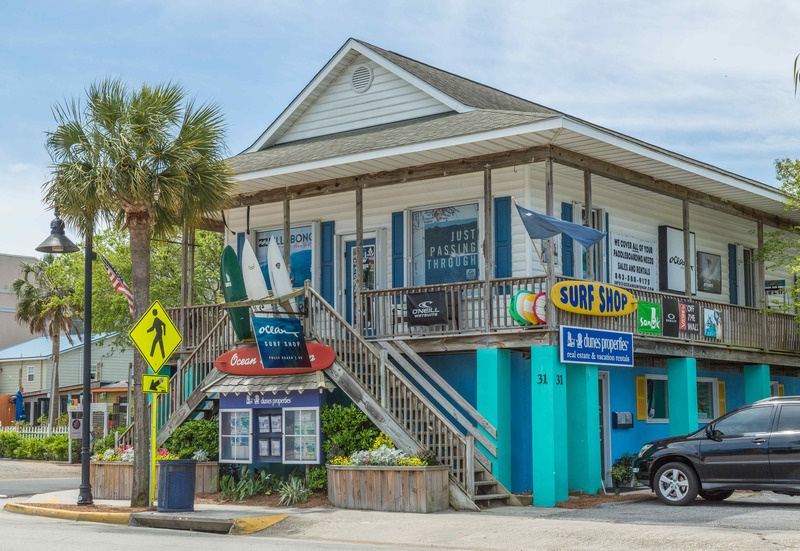 Folly Beach Adventures is one of many companies that will facilitate the rental of everything from kayaks and golf carts to stand-up paddle boards and surf boards. They also do guided boat tours. 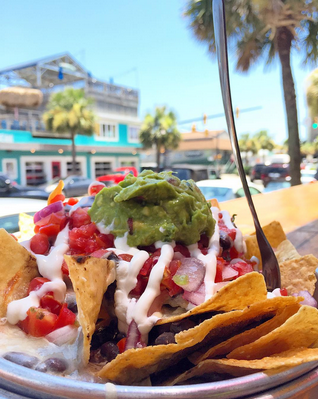 There is definitely no shortage of great food on Folly. We love the Asian-infused food and craft beers at Jack of Cups, the shark tacos at Chico Feo’s outdoor oasis, more Asian-infused goodness at The ‘Wich Doctor, Tex-Mex at Taco Boy, and pizza from Woody’s. Oh, and you can’t miss the tuna watermelon nachos at Rita’s — trust us! For all-things seafood, the Crab Shack has got you covered, but if you get in the car and drive up Folly Road for less than five minutes, you’ll find another local favorite, at Bowen’s Island (your GPS will get you there just fine!) 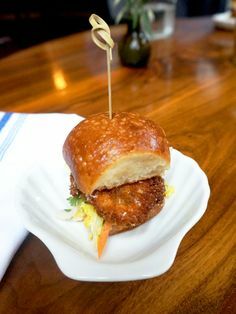 The restaurant is likely to have a line because it’s that good, but you’ll also find some of the best views in Charleston and a place with a down-home, down-to-earth, casual feel. For a killer view of the sea to go with your cocktail, go to the rooftop of Snapper Jack’s, a bright, blue-colored building on Center Street that’s unmissable. For fun sake cocktails and delicious beers, make your way to Jack of Cups. Don’t miss the frozen screwdrivers at Taco Boy, beachfront pina coladas at BLU‘s beachfront bar, or pineapple jalapeno margaritas at Rita’s. If you’re one of those people who gravitates to the Irish pub in every city, St James Gate is where you need to be. 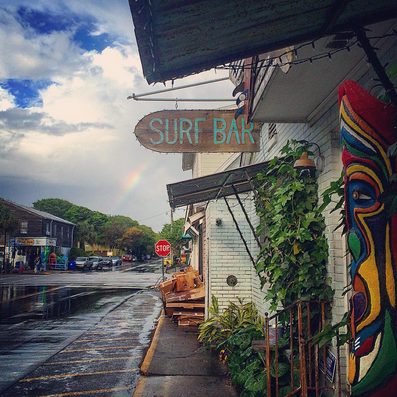 Sure, you can find plenty of your run-of-the-mill beach stores on Folly in case you need anything from sunglasses and bathing suits to tacky magnets and tees, but shop with the local surfers at Ocean Surf Shop for all your surf wear needs (located right above our Folly Beach office). For anything from gourmet to-go sammies, boiled peanuts, cool hats, beer, groceries, coffee, and hotdogs, go to the beloved Folly institution of Bert’s Market. It’s actually a must, so put this at the top of your list and thank us later. Nothing says, “This is the good life” better than live music and an ocean breeze. 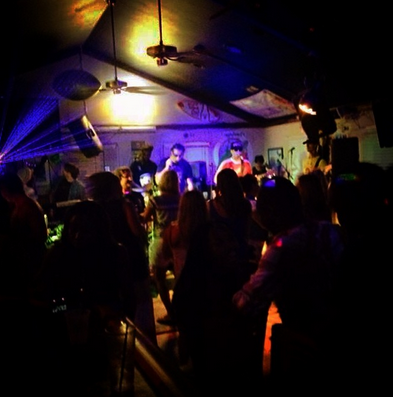 Luckily, Folly is full of great local talent, and you’ll undoubtedly be able to catch some live tunes one of these spots: Loggerhead’s, Planet Follywood, Chico Feo, Surf Bar, or Drop In Deli. There’s not a lot of choice when it comes to hotels, but there’s plenty of beach rentals — with either the gorgeous marsh or the Atlantic Ocean as your backyard — where you can make yourself right at home. 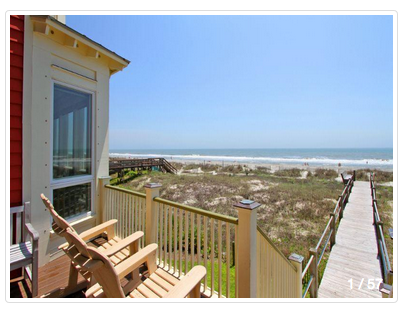 We recommend stopping by our Folly Beach Vacation Rental office or browse our website for all our vacation properties. Summertime books up quick, but the Fall and Spring are still beautiful times to enjoy the Charleston Coast. 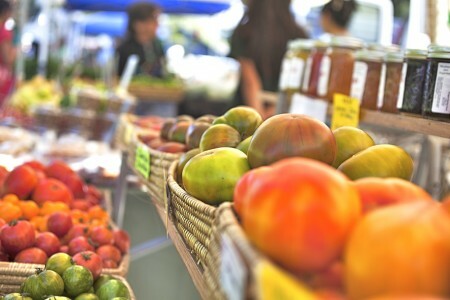 And in the off-chance that you’re in town on a Wednesday during the summer, check out the Folly Farmer’s Market, where you’ll find locally made goodies you can take back home with you. Also on Wednesdays in the summer months, we do movies on the beach! Bring a blanket and watch a movie in the sand behind the Tides hotel. Seeing something like Top Gun while the waves crash behind you — well, it doesn’t get much better than that, folks. Granny-flat, mother-in-law-suite, tiny house, laneway house, carriage house- they go by many names. But whatever you want to call them, “Accessory Dwellings” are becoming more and more common in the Charleston area. Accessory Dwellings are typically small habitable structures on the same property as (or attached to) single family homes. 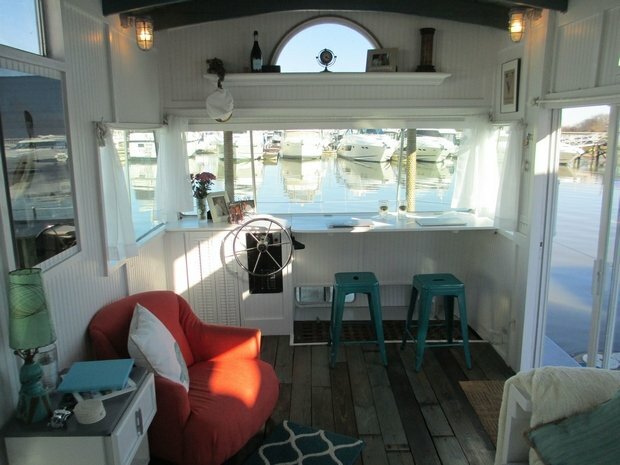 There are many types but the most popular is an adorable tiny house that sits in your backyard. Other types include a small apartment over your garage or even a basement apartment, although basements are not typical to our area. No matter the physical form of your Accessory Dwelling, the structure is legally the same property as the main home. This means it cannot be bought or sold separately, like a condominium or a dwelling on wheels could be. In some cases, homeowners want an Accessory Dwelling for the obvious reason – extra income. You could rent out the space to a young professional, a college student, or even your own adult children that just won’t leave home! Accessory Dwellings could also allow parents to live smaller after their children leave the nest or let an elderly couple live without navigating stairs or maneuvering around a large floor plan. If you plan on building one that is one story and less than 120 square feet, then you do not need a permit in Charleston County. A zoning permit is required for a structure larger than 120 square feet, and if you are in a residential district, all Accessory Dwellings (besides garages and carports) must be in the rear of the property behind the main home or office. The space of your parcel must also be at least twice the size of the Accessory Dwelling. The Post & Courier recently wrote an article on the rules and regulations of Accessory Dwellings. Make sure you check with your local authorities about specific zoning laws in your neighborhood. 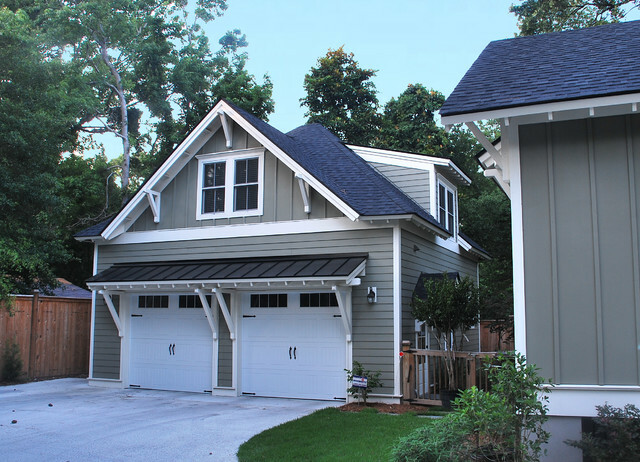 For all the details and requirements on Accessory Dwelling Units in Charleston, click here. Jamme Construction, of Mount Pleasant has erected several Accessory Dwellings in Mount Pleasant. Paul Jamme has been specializing in custom home building in the Lowcountry since 1994 and wants to make sure that the public knows that the construction of an Accessory Dwelling is hard work and a serious construction job. Just because they are small doesn’t mean they are easy! Think about it for a moment. Accessory Dwellings are so small yet so functional. That is mainly because of innovative solutions to things like storage and floor space, which is why you will often see dining tables that fold down from the wall, Murphy beds, and cabinets or drawers under seating. For more information on building an Accessory Dwelling in Charleston, contact Paul Jamme. Are You Thinking About a 1031 Exchange? Section 1031 of the Internal Revenue Code is most often used in connection with the sale of real property. If you have been in the real estate market looking for a way to invest money and defer taxes, you may have heard about ‘Like-kind exchanges’ or ‘Tax Deferred Exchanges’ as a possible means to accomplish your goals. These are alternate names for what is commonly known as a 1031 Exchange. 1031(e) livestock of different sexes do not qualify for like kind exchange. 1031(h)(1) real property outside the United States and real property in the United States are not of like kind. I was surprised about 1031(e) and I’m sure you are. This might be your 1031 “Like-Kind”. What is the difference between a second home and a vacation home? What taxes are being deferred? How long are taxes deferred? How does this benefit me? As a buyer, should I consider entering into an identified 1031 Exchange? Do qualified exchanges have to be simultaneous? If not, how long do I have to complete a qualified exchange? There are many more questions depending on each circumstance and it is in your best interest to get correct answers to the questions for your circumstances and not depending on an overview to make your decision. Your professional Realtor® will be able to give information, but a Realtor® is only part of the resources you need. Your Realtor® will identify properties for your consideration. Another team member should be a tax attorney and a CPA who are experienced with 1031 Exchanges. They can give answers to how a 1031 Exchange fits into your portfolio, and how a 1031 Exchange fits into your estate. If you are interested in a 1031 Exchange in on the Charleston Coast, contact Dunes Properties. So it’s officially the end of the summer season for our Vacation Rentals division, and wouldn’t you know the rain has come. It’s been a summer of record breaking heat indexes and highs well over 90 since mid June. I think for those of us who live here, the rain is a bit of relief from the “excessive heat” our weathermen boast about daily. Yesterday brought quite a bit of rain, and not surprisingly for the locals, a decent amount of flooding! Unfortunately, our guests who were looking forward to a piece of sun and sand before the kids head back to school, might be finding themselves checking local movie times and finding alternative ways to spend their time at Folly and downtown. Luckily for our guests, we offer a free concierge service. We are happy to share all that there is to see and do in Charleston, even if it’s a bit gloomy outside. After all there’s no shortage of fabulous restaurants, shopping, and museums. 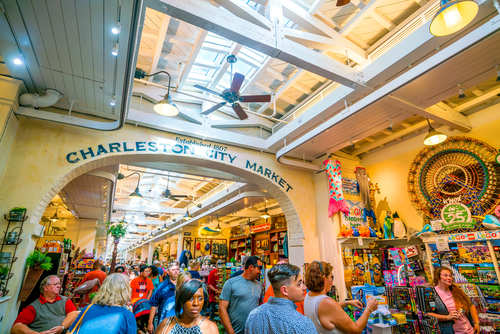 Our website is a great hub of info of ways to certainly soak up all that Charleston has to offer, rays or no rays! Yes, South Carolina is made for vacations. 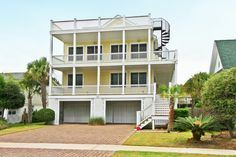 Check out our available Folly Beach rentals if you are interested in some R & R for the summer season or if you want to get out now from all that snow! Or if a downtown bed and breakfast is more your speed, we can help you with that too. If you aren’t sure South Carolina might be for you, the Golf Channel is premiering a new show tonight- “Destination South Carolina.” In addition to our fantastic golf the show will highlight our history, cuisine and other great attributes. If you’re like me and not so sure about watching The Golf Channel, you can read the profile on The Best of Charleston here in Forbeslife . Once you are in Charleston and fall in love- we’d love to have you for a neighbor so drop by one of our island offices or our Real Estate Studio in the downtown shopping district on King St. and have a no pressure, informational chat with one of our real estate professionals to see how Charleston can fit into your lifestyle. Moody’s predicts Charleston will be one of the top five recovering real estate markets in 2010. For 20 years now Dunes Properties has been helping people buy homes on the Charleston Coast, and our Folly Beach vacation rental program has grown exponentially over that time. Over the last year, we have seen an increase in requests for Downtown rentals at The Real Estate Studio. We have been managing vacation properties on the Charleston area beaches for years, but until now had not delved into the Downtown rental market. As more and more people began to ask about available rentals, we began to discuss some solutions. We felt it was our obligation to help our guests find a place that suited them. So after much thought and some marathon brainstorming, we have develpoed a program to help match potential renters with Downtown condo owners who want to rent on a long term basis. This is not a property management program, but simply a referral program to attempt to match our Studio guests with appropriate, upscale rentals. We launched the program in January and our list of properties continues to grow. If you are searching for a Downtown rental, stop by The Real Estate Studio at 214 King St., call 843.722.5618, or email concierge@dunesproperties.com for details. We would love to help you find the perfect Downtown home, for as little as a month… or as long as you like.